Why would anyone want to display a document on a TV screen? Sure, it might work in a classroom where you are displaying an outline for students, but digital signage? Seems a little ridiculous, right? Yes and no. While displaying the opening chapter of a book on a TV screen would be a bit foolish, there is a place for documents in your digital signage. 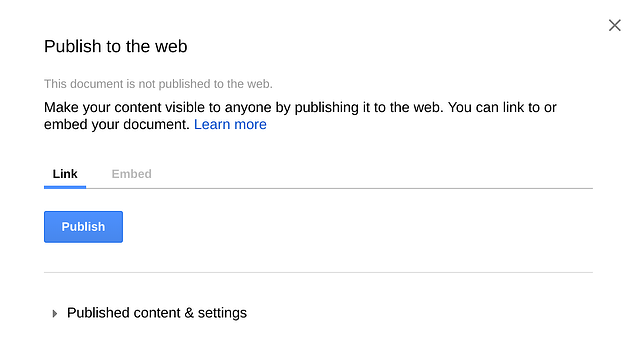 Getting a document onto your digital display is easy using Google Docs and the Web Page Widget tool. It makes sense that a school’s administration offices should have things like the school principal and perhaps the school’s mission and vision; considering how many parents step into the office, however, makes Google Docs a good solution for digital signage. 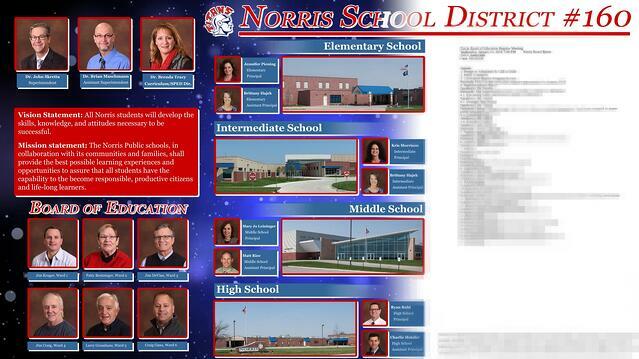 Norris School District, for example, reserves part of their digital signage for displaying the agenda for recent meetings; this keeps parents informed and keeps the content fresh and always updating. Placement - Don’t use your digital display as a giant eReader; find a section of your display, as the Norris School District did, and design around it. Content - Remember that people will typically stand inches from your digital display. Don’t use font sizes that require them to get close. If they can’t read it from six feet away, then it’s too small. Templates - Google has several pre-built templates; these can come in handy if you don’t have time to design something from scratch. Schools can also create their own templates and share it across departments. 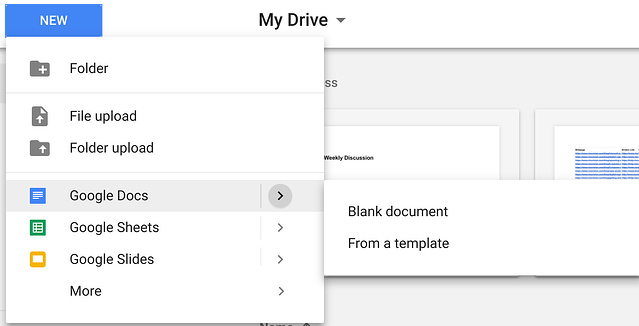 To use a template, start a new Google Doc and choose from a template instead of a blank Google Doc. So how do you get your Google Doc to your digital display? A few weeks ago, we showed you how to create a trivia game for your digital signage; the method we used here is almost exactly the same. You can do it in less than 30 seconds! For this to work, you need to make your document public. That means people outside your school will be able to see it. 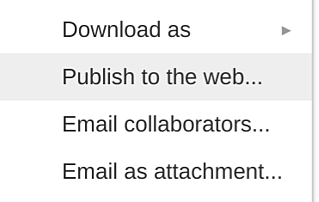 All you need to do to make that happen is click the “Publish” button. Once you do that, a link will appear. Copy that link. Next, login to your Rise Vision account, then open the presentation and click the green “Add Placeholder” button; next click the “More” option and select “Web Page Widget”; in the box that just came up, add the link that you have just copied; finally, scroll to the bottom of the box, click the blue “Save” button, and hit the green “Save and Publish” button to preview the presentation. From here, it’s up to you to add content to make your document stand out. Your finished presentation will look a little like the below example. As always, if you are doing something fresh with your display, we want to hear about it. Contact us here and tell us about it!